CLICK HERE to Download the Free YA Epic Fantasy eBook in your preferred reading format! Isolated because of what she is—because of the power she holds inside—Astrid longs for contact with another human being. Her well-intentioned mother locks her away from society in order to protect her from an evil that seeks to use Astrid’s abilities for his own means. But the resulting loneliness drives Astrid deeper into the shadowwalk—a power she is forbidden to use, a magic that lands her directly into the arms of the Shadow. This short prequel to the ShadowLight Saga offers a revealing glimpse into the history of the beautiful and mysterious warrior maiden known as Swan, called Astrid in this prequel. It takes place a few moons before Bonded begins and is a self-contained novelette of approximately 10,000 words. Coming for free at Amazon, Barnes and Noble and other retailers soon. I will update these links when it is available on each store. For now, you can use the above link to download to your preferred ereader for free. You’ve never seen dark versus light like this before! Matthews expertly twists good and bad until the lines are blurred and your heart is racing. Astrid (Swan) is such an amazing heroine – she’s so tough, yet emotionally rich. Since Astrid can’t speak, I loved how Matthews weaved in her internal thoughts throughout the action – it gave me an extra layer of insight to her cool personality. I loved her! 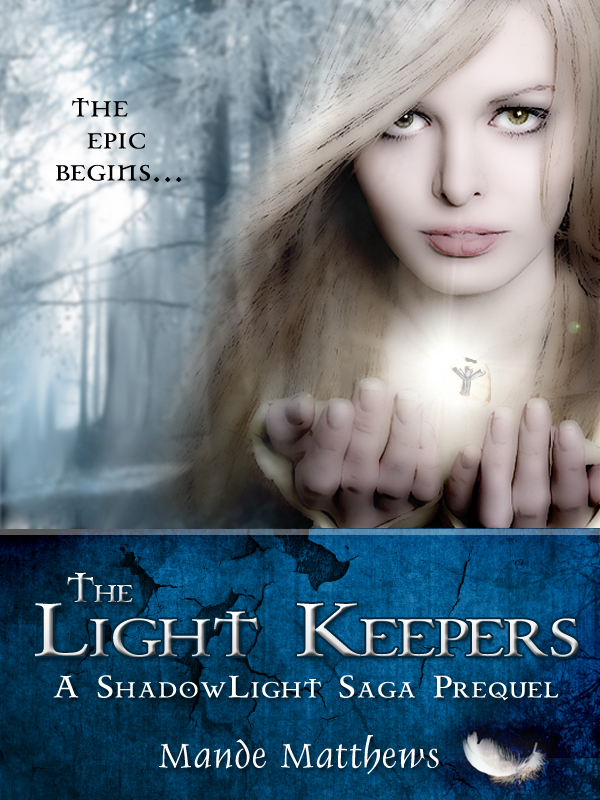 Coming soon: My dedication to readers for The Light Keepers, and free online chapters.